Can Rose Hip Oil Help Scars? Marcia Frost is a writer covering travel, food, wine/spirits, and health. She writes for many on and offline publications, including The Daily Meal, Girls Getaway, Travelhoppers, and Princess Cruises.She also has a popular blog, Wine And SpiritsTravel. She has a Bachelor of Arts in journalism from Long Island University. The rose plant can do so much more than adorn a table. Oil from the seed pods or petals of the rose bush is extracted to make rose hip oil. 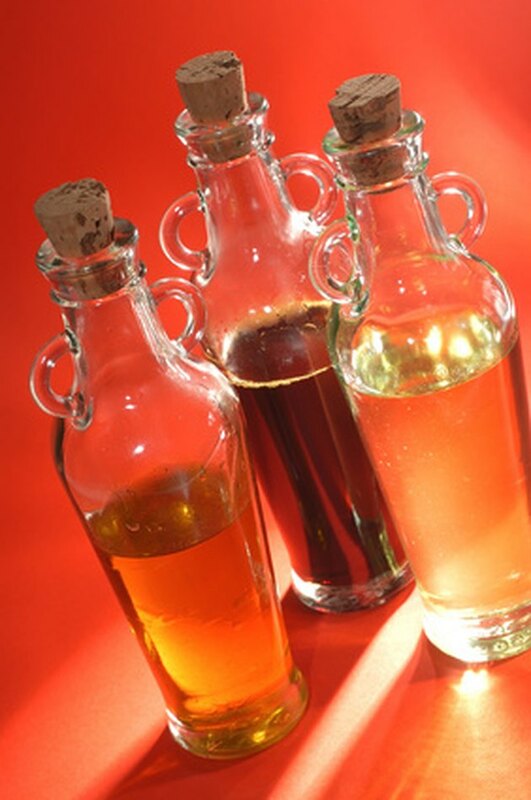 It is considered a vegetable oil and is high in vitamins and fatty acids. These nutrients make rose hip oil a possible treatment for scars. According to "The Guide to the Good Life," it takes 60,000 blooms to produce an ounce of rose hip oil. The process that's used to get the purest form is called "otto" and it involves steam distillation of the crushed rose petals. It is also possible to yield rose hip oil with the "absolute" method, where the seed pods or petals are processed with a solvent. The Vegetarian Nutrition website notes that Damask roses are used most often, with the majority hailing from Bulgaria. Within rose hip oil are a number of properties that aid in its possible ability to help scars fade. Retinol, a Vitamin A, is frequently used in cosmetic creams as a wrinkle reducer. It is found in rose hip oil along with vitamin C, omega-3, omega-6 and linolenic acid. The last three are fatty acids, which one producer of the essential oil, Anyang General International Corporation (AGICO), states is used to heal scars. The ability of rose hip oil to fade scars is easily explained by AGICO given the properties of the essential oil. It contains vitamins and fatty acids that have been shown to restore original skin color by reducing hyperpigmentation and redness, avoid formation of keloids scars, fade scars left by chicken pox or acne, and even treat skin burned from radiation therapy. Both AGICO and the Stretch Marks Treatment website advise that in order to use rose hip oil to minimize scars, massage it into the affected area. It should be applied with fingertips a few times a day and may take weeks to show results. Keep in mind that rose hip oil can increase skin's sun sensitivity so put sunblock on top of it after it dries if you are going to be outdoors. There are a few things you should know before using rose hip oil to treat scars. Since it is a dry oil, the skin will soak it up quickly without a greasy feeling. It can be used straight or mixed into a cream or lotion. Rose hip oil should not be used on broken skin or open wounds unless directed to do so by a physician. If you develop a rash or other irritation while using rose hip oil, consult a health care professional. Is it Safe to Take Rose Hip Oil Internally?